So its very likely that if your a massive UFC fan like me, then your always trying to find a list of UFC events. Then after this the most important thing is to find out – where to get ufc tickets. Well your going to get what your looking for, just by reading this article, because i will be breaking down the up an coming UFC Fight Night: Anderson vs Manuwa event coming up on March 18th 2017 in the O2 arena in London, England. While also breaking down the event for you, I’m also going to let you know where you can make a booking for a ticket to attend this UFC London event on March 18th. If this is your first MMA event, then wow you really need to get ready to have your socks blown off! Because March 18th in London is going to be an unforgettable night for newbies, or seasoned attendees alike, as we bear witness to a Titanic collision at 205 pounds, when London England’s own power puncher Jimi Manuwa goes to war with rising American prospect Corey Anderson. I live this late addition to the card because Alain Jouban vs Gunnar Nelson is worth the ticket price alone. 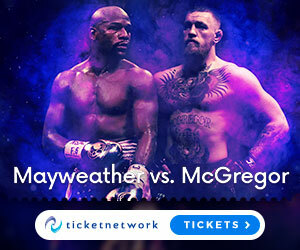 Both men have been impressive in their octagon careers, so i really have no idea whos going to get the win here, so we will all have to grab a ticket and see! Henry Briones vs Brad Pickett looks likely to be our co main event of the evening at 135 pounds, and One punch Pickett will be looking to get a big win in front of his hometown fans. at 170 we have rising English prospect Leon Edwards going up against Brazilian action fighter Vicente Luque, in what is sure to be a back and forth close contest. Marc Diakiese is another great UK prospect that the London fans are waiting to see, as the 11-0 striker steps into the octagon against tough Finnish fighter Teemu Packalen. Birmingham, England’s, Tom Breese will be looking to get his 2017 going in style as he looks for a win against explosive power puncher “The Holy War Angel” Oluwale Bamgbose in what is sure to be an entertaining bout. Two UK warriors in Bradley Scott and Scott Askham will battle it out at 185 pounds, in what is scheduled to be the only UK vs UK bout on the card, so expect a scintillating back and forth bout. Londons own Darren “The Dentist” Stewart, has his long awaited rematch with Brazilian stand out and Nova Uniao fighter Francimar Barroso at 205 pounds – these two collided heads literally in November 2016, which was was such a bad head collision the fight had to be called off as a “No Contest” result. This rematch will certainly be a great opener to the main card. Then headlining the prelim card we have the ever impressive Irish fighter Joseph Duffy, taking on veteran Reza Medadi, then we also have Lina Lansberg vs Veronica Macedo, Daniel Omielanczuk vs Timothy Johnson, Arnold Allen vs Makwan Amirkhani, and a few more bouts possibly to be announced, this is surely going to be a unmissable night of action! Whats the price range of the tickets? Well every UFC event has its own priciing list, so it can vary a lot from event to event. It always depends on what seat you want, and also how close you want to be to the action. For this UFC Fight Night London: Anderson vs Manuwa event, at the O2 Arena, ticket prices range from £70-£1,250.00 (GBP). You can see the whole range of seating plans/ticket prices on this website. in the words of the great English band The Clash – Londons Calling! There has been many classic UFC events in London, and March 18th will be no different at the O2 Arena. live event are amazing– I don’t care if its sports, music, comedy shows etc. experiencing maximum entertaining moments, creating unforgettable memories in a night of excitement – you can only get this by being in person at a live event. And there are no live events like UFC events, so now at MMAgateway you have access to a list of UFC events to choose from. Now if you have heard enough from me and want to make a booking for UFC London on March 18th at the O2 arena, then you can do that right HERE. Thanks for reading, leave me some comments if you have a questions or something to mention. Hope I see you in London on March 18th!